Are you tired of the clumps and lumps when you make your own flavored Jello? Yes? No? What?! You don’t make your own flavored Jello? You should! It is healthier than the already flavored ones sold at the store and you can decide what ingredients go in it! It is tastier, exactly for the same reason, since you can choose your flavors, you can choose your own favorite ones. 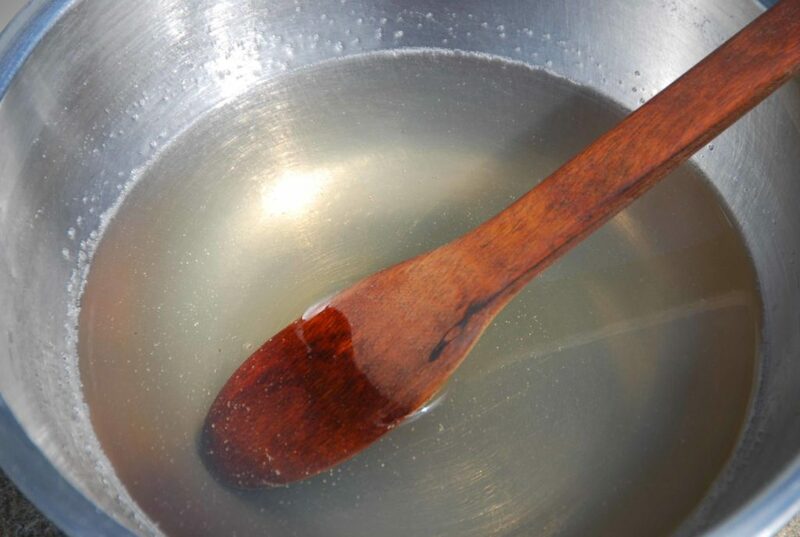 Many cooks complain about the clumping when mixing unflavored gelatin with any liquid in order to be able to use it. Yet there is a fast and simple technique that provides a smooth and seamlessly effective gelatin base that will add volume and will help solidify any liquid that you may want to turn into Jello. 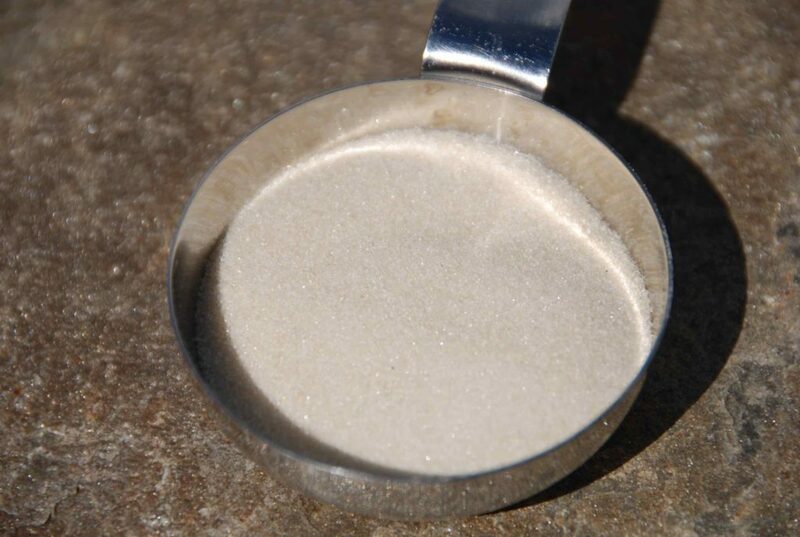 Note: You can find unflavored gelatin as easily as finding flour or sugar. It will be located in the baking section of your grocery store and is usually sold as a dry powder in packets or in a dry leaf form. I use the dry powder, which is most common. Make sure to buy “unflavored” gelatin. 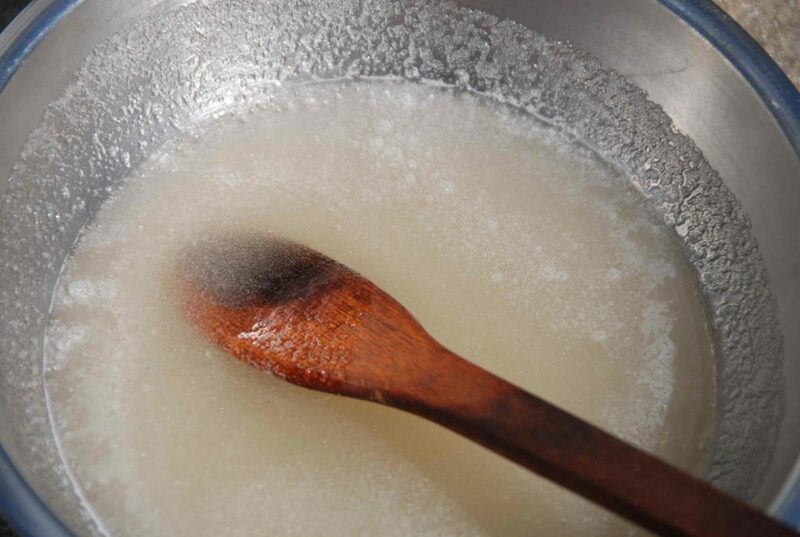 Stir it a couple times more, and after 3 to 5 minutes, you will see the granules absorb the water almost entirely. It is all absorbed, but now you need to completely dilute those puffed up gelatin granules, so that you don’t feel them when you eat your Jello and so that this gelatin base will act throughout the entire dessert. To do this, your second step is to heat up water (up to halfway in depth) in a small sauce pan and bring it to a medium simmer. 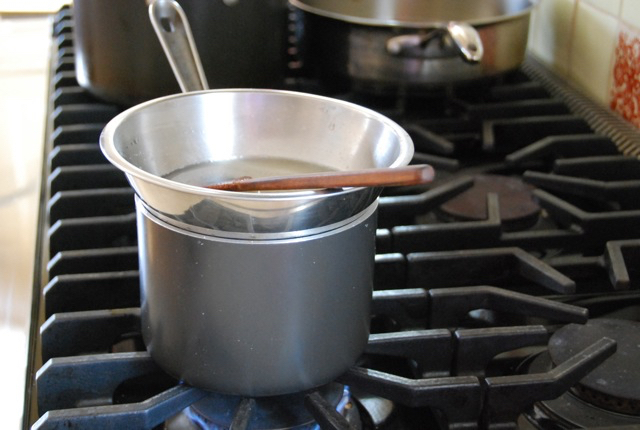 Place your bowl with the puffed up gelatin on top (make sure that the bowl is larger than the head of the saucepan for sure), making a double boiler or water bath, and let it heat up for about 5 minutes, stirring here and there. 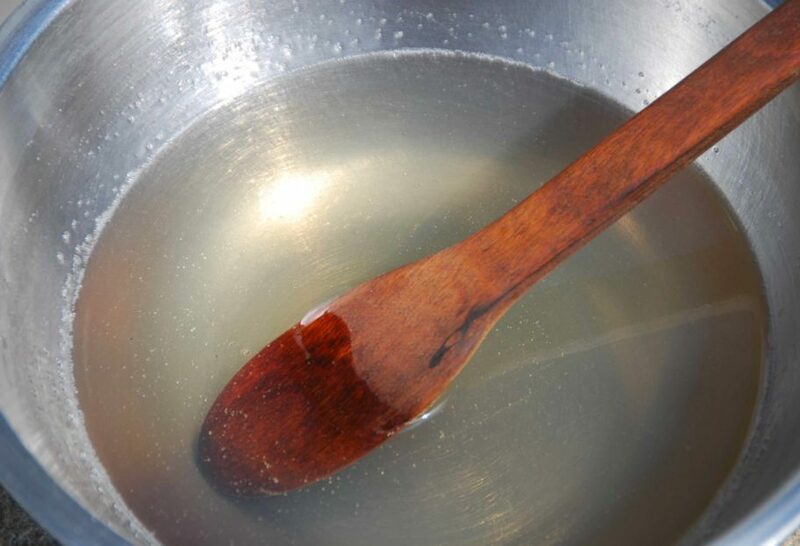 Remove from heat when the gelatin has completely dissolved into a barely amber and almost clear liquid. It’s ready to add to your fruit puree or any flavor mixture you’ve dreamed up. Good tips! I recently discovered making jello with coconut milk. 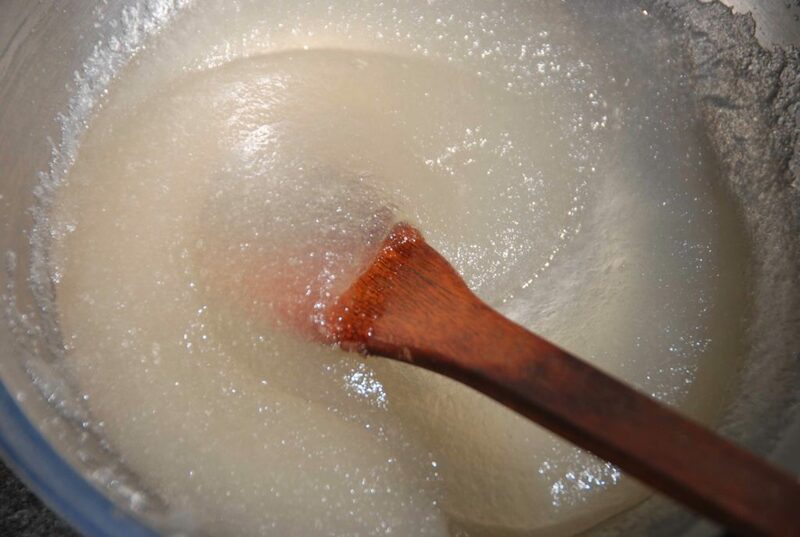 Instead of melting the gelatine in a double boiler, the bloomed gelatine (soaked up some water) is mixed with some of the hot coconut milk/water/sugar mixture and them stirred in the rest of the pot to melt. The coconut cream separates from the liquid as it cools resulting in a two layer jello (opaque white top half and translucent bottom half). I love it!